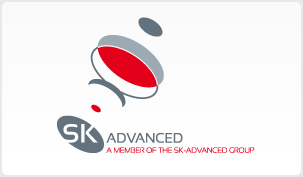 Sk-advanced offers different spectrometers to serve applications such as: Biomedical applications, solar spectrum irradiance measurement (Irradiance ), color measurement, UV/VIS absorbance measurement - Absorption spectroscopy, LED measurements, thin film measurement spectrometery, coating processes monitoring, horticulture( Plant measurement,), gemology measurements - such as diamond measurement, fluorescence measurements and many more.. The spectrometers have a modular design and can be configured for your application by knowing the wavelength range, optical resolution, sensitivity, timing and speed. 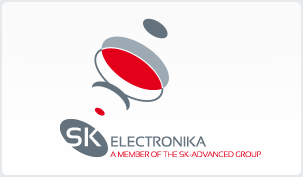 Sk-advanced offers a spectrometer platform that uses different electronics, optical benches and a variety of detectors that can be used for applications with deep ultra violet range to the near infra red range. Fiber optics that supports from the deep ultra violet range to the near infra red range, different probes, collimators, cosine correctors. Light sources as deuterium, deuterium – halogen, tungsten halogen. Integrating spheres with or without internal light source, large integrating spheres…and more. SK-advanced offers spectrometer platforms for more demanding application up to 300mm optical benches to serve application as Raman spectroscopy, Laser-induced breakdown spectroscopy (LIBS), Luminescence, X-Ray Spectroscopy and many more. You can view our Hebrew page of spectrometer - ספקטרומטר - here. In this page you can view all our solutions for spectroscopy including spectrometer applications, Micro spectrometer, Mini spectometer and Spectrograph. For a price offer, please choose your specification from the product page and press "Quote now".